My father was a carpenter and over the years he made me a number of cutting boards. I didn’t know how to care for them at first and eventually they would split and become unusable. I think I went through at least 10 boards before I finally learned how to keep them nice. My dad passed about 5 years ago and I have 2 boards that he gave me. Those boards get the royal treatment and fire and brimstone will rain down on anyone who damages them. Today I am passing on my hard earned knowledge on how to care for your cutting boards. 1. 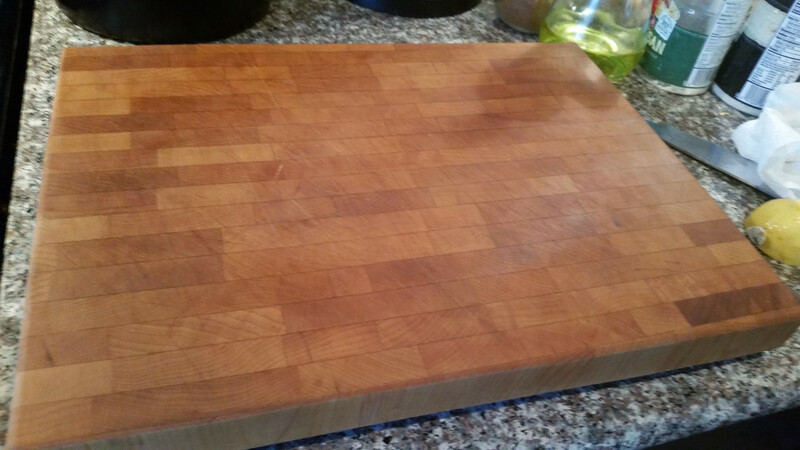 Oil it Regularly – About once a month you should rub your cutting board with mineral oil. No need to buy expensive butcher block oil which is the same thing with a fancy label. Just look in the pharmacy for mineral oil. 2. Sand out Imperfections – When you get scratches and scrapes that start bothering you just pull out a piece of 220-grit sandpaper and buff them out. Be gentle and go with the grain. 3. Don’t Soak it – Moisture will warp and cause wood to break down so don’t leave your cutting board in the sink. Give it a quick wipe and towel it off immediately after cleaning. 4. Keep it Elevated – Cutting boards with feet will stay in place better and will keep it safe from any moisture that may gather underneath it. 5. 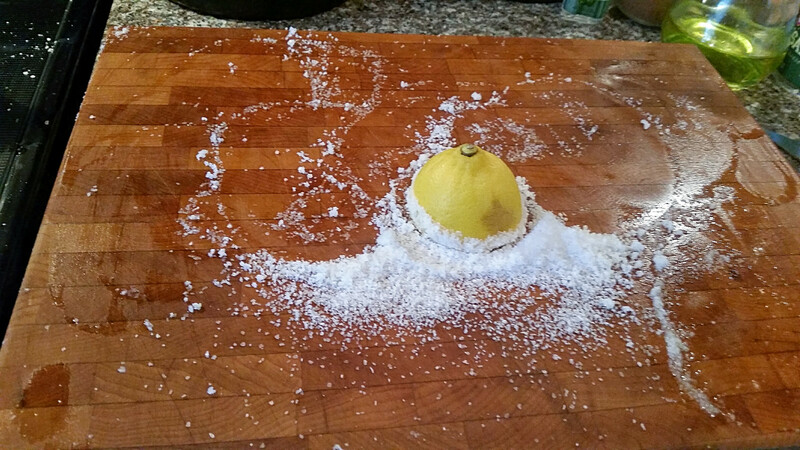 Deep Clean with Lemon and Salt – When your board gets smelling a less then fresh all you need to do is sprinkle with some coarse salt and rub vigorously with half a lemon. Just scrape off the salt and wipe clean with a dry towel. Follow these simple rules and you will be able to keep your cutting boards for many years.